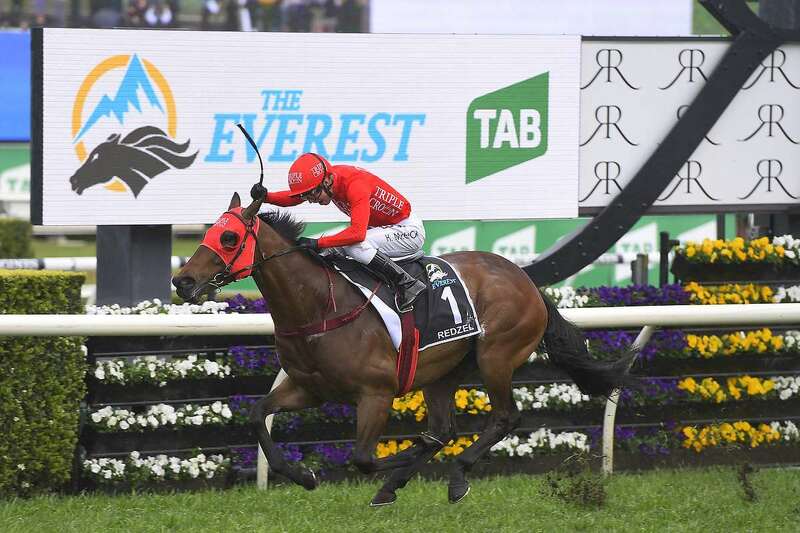 TRIPLE CROWN’S dual Everest Champion Redzel returned to action today as he stepped out for a quiet trial in Heat 5 at Rosehill Gardens on Monday. Meanwhile, Group 3 winner Moss Trip caught the eye when surging home to claim trial 2 in impressive fashion. The record breaking son of Snitzel, Redzel, came home in fourth in his trial over 900m at Rosehill, getting to the line under hold from Kerrin McEvoy to finish half a length behind the winner Dyslexic. Redzel, the second highest prizemoney earner in Australian racing history, will return first up for an autumn preparation in the Group 2 Challenge Stakes on March 10, before targeting a first Group 1 TJ Smith Stakes in April. Jockey McEvoy was pleased with his trial return “Very happy with the horse,” said McEvoy. “He didn’t have his blinkers on this morning and was in cruise mode. He travelled nicely and I just asked him to stretch out the last bit without asking for a full effort. CLICK HERE TO SEE OUR INGLIS CLASSIC PURCHASES AND REGISTER YOUR INTEREST! Four-year-old filly Moss Trip was having her second trial back and after settling near the rear she tore up the turf on the outside to take victory in trial 2. The leading progeny of Mossman for the 2017/18 season, Moss Trip was a $32,000 purchase from the Inglis Classic Sale, which is currently underway at Warwick Farm. Co-trainer Peter Snowden was pleased with how she hit the line. “I thought she trialed very well,” said Snowden. “We asked for an effort today and she responded brilliantly.